This charming tradition began for our family when my children were very small. Plagued by their desire to know how Santa really knew who had been naughty or nice, I searched through the Christmas decorations for a plausible explanation. Nestled among them was the answer; a small elf doll from my own childhood. 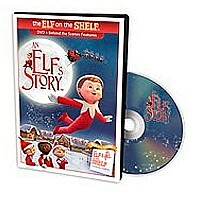 With that discovery, the idea for the elf tradition was born. 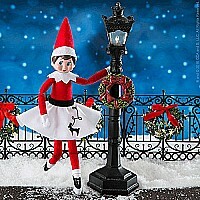 At our home the elf would arrive around the holidays, usually at Thanksgiving. His sole responsibility was to watch my children's behavior and report it to Santa each night. The next morning after the children awoke, they discovered the elf had returned from the North Pole (with some parental assistance) and was hiding in a different place. My children would race each other out of bed to try and be the first to spy him in his new position. Over the years the tradition was perfected and rules were even introduced. For example, to better preserve his mystique the children were not allowed to touch him; however, they were allowed to talk to him. For obvious reasons, he was not allowed to reply. Eventually, my children even gave him a name - officially adopting him into the family. Unwittingly, the tradition provided an added benefit: it helped the children to better control themselves. All it took was a gentle reminder that the ﾓelf was watchingﾔ for errant behavior to be modified. I never dreamed this simple tradition would lead to so many Christmas memories for our entire family. It is my earnest desire that The Elf on the Shelf: A Christmas Tradition will bring as much joy to your family as it has to mine.